I recently received this reader email from Kim about her kitchen makeover and was so impressed with her and her husband’s great DIY results that I just had to share! While wasting away in my cubicle at work, I came across your blog one day and got hooked! I am now an avid reader, and wanted to let you know that your sister’s kitchen renovation inspired my husband and I to makeover our own! With scrapping our pennies together and courtesy of a little left over wedding money, we were able to perform magic! It’s amazing how a little elbow grease and paint can do miracles. Thought you’d enjoy the before and after pictures I attached (please excuse the mess!). Thanks for keeping me entertained! Keep blogging! Quite the upgrade, don’t you think? Looking for some more DIY inspiration and tips? Check out Better Homes & Garden’s new site DIY Advice. Here you’ll find step-by-step detailed instructions for all your home-related projects–from fixing a clogged drain, to installing crown molding, tiling a kitchen floor, and painting special surfaces–this site has everything you’re looking for and it’s easy to navigate! The change is fabulous! Looks like a brand new kitchen. Wow, that is beautiful! I love the grey and black tones together. Very classy. Looks fresh again! Love what a little paint can do! Good Job! Love it! The power of white paint never ceases to amaze me. What a change. Kim did an amazing job, what an inspiration! That makeover is awesome! 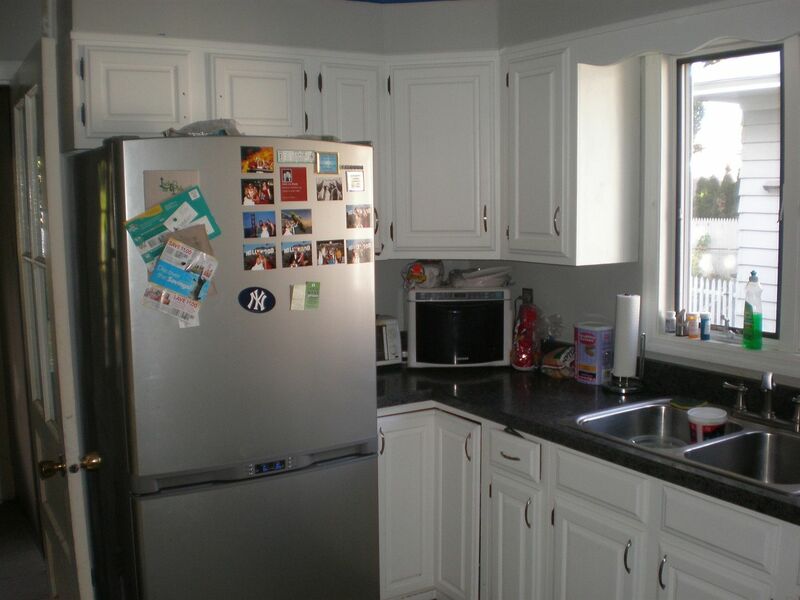 We recently painted our kitchen cabinets and it changed the entire look/feel of the house! It’s amazing what paint can do. And thanks for the DIY Advice link–love! Speaking of kitchen makeovers, how’s your sisters house coming along? 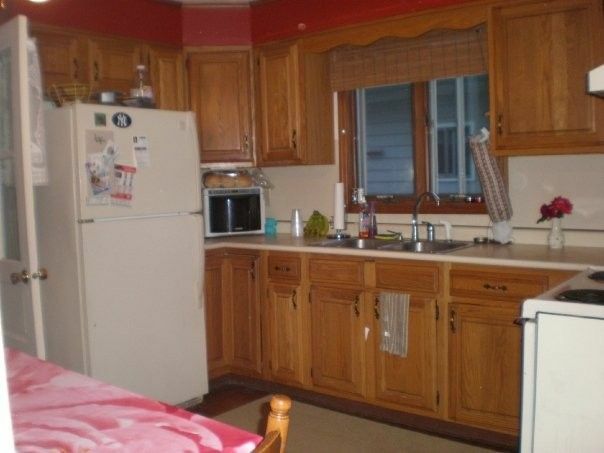 @blondie–My sister has actually sold her house now, so the last post you saw about her kitchen was as far as we got. 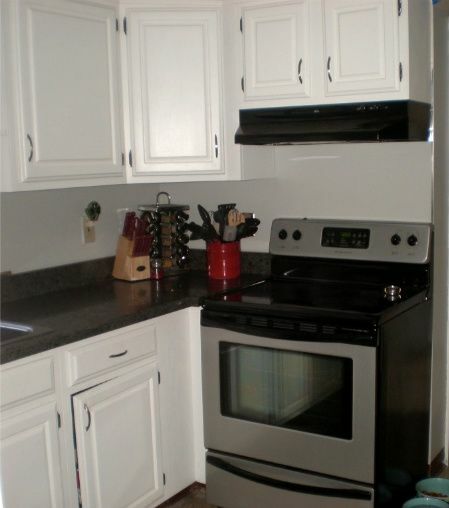 Guess that hideous tile floor and those outdated appliances are now someone else’s problem, lol!